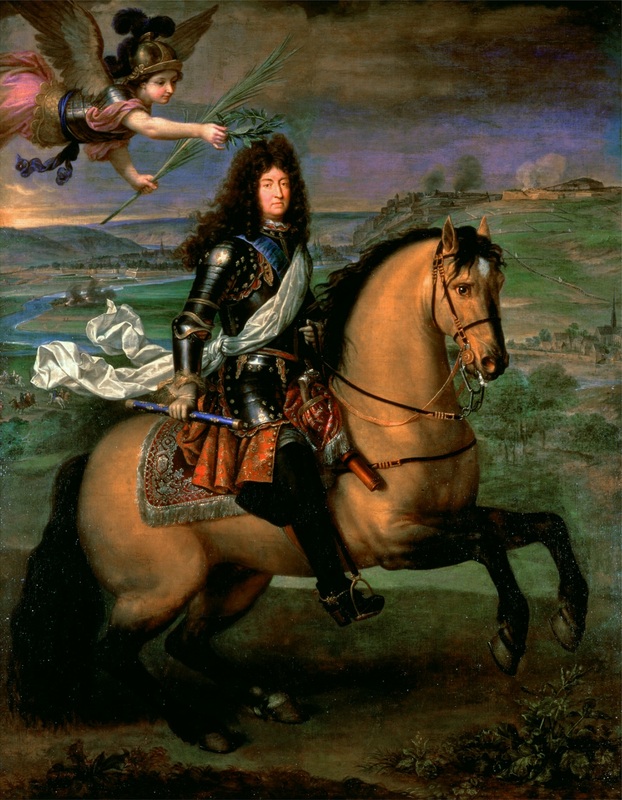 Louis XIV was King of France and Navarre from 1643 to 1715. 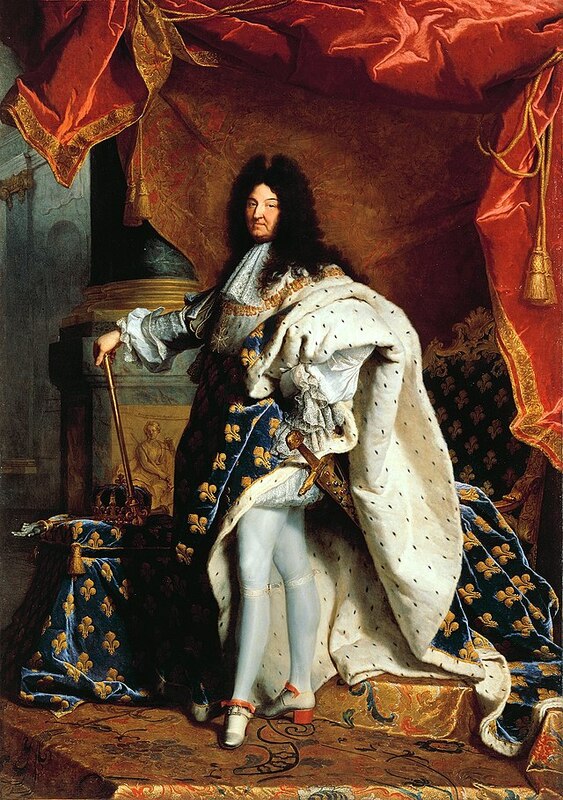 His reign was the longest in European history and he presided over a period of immense transformation. Under him, France emerged as the leading power in Europe, and not just in military or political affairs, but in the arts and culture as well. He bent the nobility to his will. 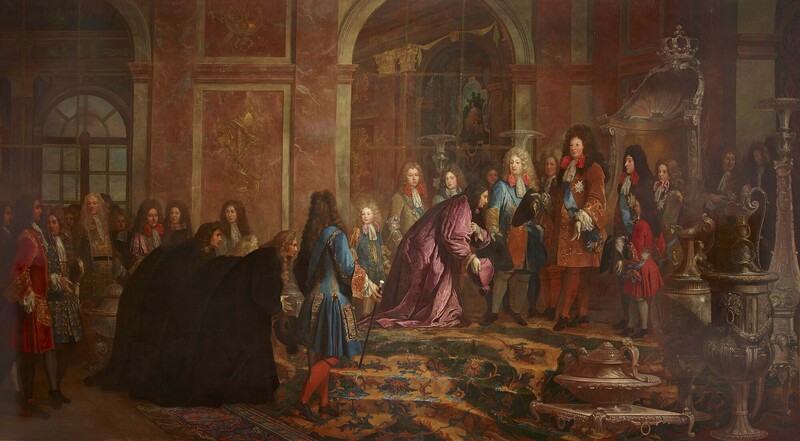 The great nobles who had once participated in the Fronde and their heirs had been reduced from being lords of vast estates to quarreling with one another over who had the right to hand Louis his clothing in the morning. 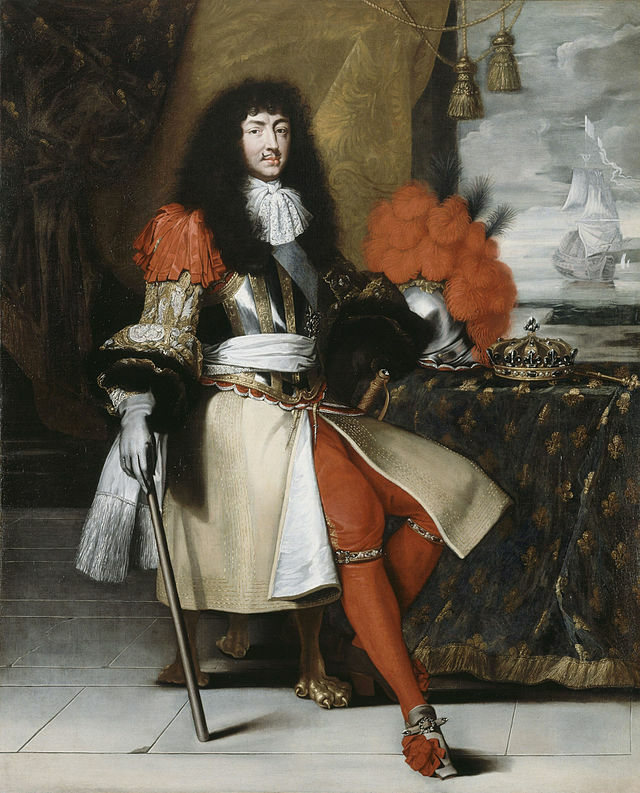 Louis’ territorial gains were immense, and he forever ended the threat of an aggressive Spain by placing his grandson on the Spanish throne in 1700, successfully defending that claim (admittedly not without great cost). 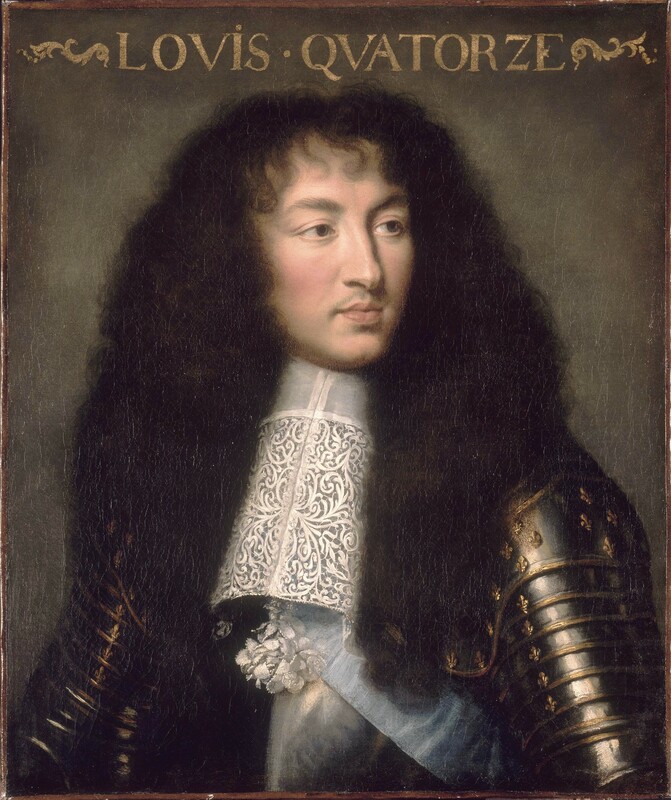 Throughout his long life, Louis was motivated by an insatiable desire for glory and the attaining of magnificence. Unbeknownst to most, however, is that Louis left behind a significant collection of memoirs and letters. These were eventually coalesced into a book. It is not widely read today, but I was pleasantly surprised to be able to find the work online. One of the best experiences to practice is to listen oftener than to speak; for it is a difficult matter for persons who are fond of speaking to refrain from saying something too much. Admittedly, I still have much practicing to do in this area. He carefully examined the respective dispositions and thoughts of his hearers: he was extremely prudent: he knew how every word which a monarch utters is canvassed over in public, and he often kept to himself those discoveries which his penetration had enabled him to make. If important affairs were the subject in question, the most learned and enlightened persons were astonished at the knowledge he displayed; they saw that he was more thoroughly conversant with the matter than they, and were charmed with the manner in which he expressed his thoughts. His unprepared and least studied answers outdid the most carefully digested speeches of others. Better to conclude our business somewhat late than to ruin it by using too much precipitancy. Our impatience only tends to delay that which we eagerly wished to forward. The morning, as usual, was taken up with the different councils of justice, commerce, finances, and dispatches; the afternoon, with the current affairs of the state, and in the evening, instead of following any diversion, as I had been accustomed to, I reentered my closet in order to business, either to talk about the war with Luvois, who had that department, or on other affairs which I had resolved to examine myself; and if after that I had any time left, I employed it in writing these Memoirs which you are now reading. I cannot tell you what fruits I immediately gathered from this decision. I could feel my spirits and my courage rising. I was a different person. I discovered something new about myself and joyfully wondered how I could have ignored it for so long. That first shyness, which always comes with good sense and which was especially disturbing when I had to speak at some length in public, vanished in less than no time. I knew then that I was king and born for it. Nothing is more taxing than prolonged idleness. You will be disenchanted first with affairs, next with pleasures, and third with idleness itself. You will seek everywhere in vain for what cannot be found. That is the problem with rest and leisure without some labor to precede it. Love all people attached to you, do not give preference to those who flatter you most, and hold in high esteem those who for a good cause venture to displease you. They are your real friends. Praise is of a very delicate texture, and we should be very careful how we are caught by its dazzling appearance, as it requires much penetration to discern truly our flatterers from our real admirers. But however obscure the intentions of our courtiers may be, there is nevertheless, a certain mode by which we may turn everything they say to our advantage; which is simply, to examine ourselves closely on the subject of praise which others have bestowed on us; for when we hear certain encomiums which we ourselves are unconscious of deserving, it will immediately lead us to reflect on them (according to the temper of those who bestowed them) either as a malignant reproach for some error, which we, in consequence, should immediately endeavor to correct, or as a secret exhortation to a virtue to which we have hitherto been insensible. Supposing even that we conceive ourselves really deserving of that which is spoken in our favor, instead of simply contenting ourselves with the praises which we have received, they ought rather to serve us as a stronger stimulus to merit new encomiums; for this assuredly is one of those mediums whereby the elevated mind may be distinguished from those who never rise beyond mediocrity; to behold the latter charmed with the empty noise of applause which is incessantly flattering their ears, abandoning themselves to inactivity and indolence, eager to persuade themselves that they have done enough; while the former, continually burning with an equal ardor, seem never fully satisfied, as if everything which is lavished to allay that fire with which they seem to burn only to increase its violence. It is only after this manner, my son, that glory becomes amiable; the thirst for which it inspires is not a weak passion which becomes cloyed with possession; it is never obtained but by strong efforts, and never becomes satiating; and he who can rest contended without seeking new favors is unworthy even of those which he has already received. In a popular assembly, the more you assent to, the more they grasp after: the more you caress them, the more they will despise you; and that which they are once put in possession of is retained by so many hands that you cannot deprive them of it but by extreme violence. Of so many persons who compose those numerous assemblies, the most ignorant are those who often take the greatest liberties; and if you pay any deference to their opinion on any one occasion, they pretend to the right ever after to regulate your projects according to their own fancy; and the continued necessity you will find yourself under to guard against their attempts will be more troublesome to you than all the other interests of your crown; for which reason the Prince who is desirous that his people should enjoy a durable tranquility, and that his dignity should descend entire to his successors, cannot be too careful in suppressing such audacious assemblies. While we abandon our heart we should remain masters of our own mind. We should separate the tenderness of the lover from the resolutions of the sovereign, and the beauty in whose possession we rejoice should never be allowed the right of speaking to us on business, or interfering about the persons we employ. In the same manner as a fortified place is attacked, so is the heart of a prince. The first step is to take possession of every post or avenue leading to it: an artful woman at first sets about removing all those who are not in her own interests; she inspires us with suspicions against some and excites our displeasure against others, in order that she herself and her own friends alone may be listened to; and unless we are well on our guard against these practices, we are exposed to the necessity of giving offense to every person in order to gratify her alone. From the instant that you allow a woman the liberty of speaking to you on affairs of importance, it is impossible but what she must mislead you. This predilection we feel for her, induces us to approve of arguments that are bad in themselves, hurries us insensibly into her way of thinking, and her own weakness, causing her to prefer frivolous interests to more solid considerations, she infallibly adopts ill-timed and pernicious resolutions. Women are eloquent in their expressions, pressing in their requests, obstinate in their notions; and all this is often found merely on some aversion against some individual, some wish to promote another, or some promise imprudently given. No secret can be safe in their keeping for they may, from mere simplicity and ignorance, discover what should be concealed, or if they possess wit and knowledge, they seldom fail to form secret intrigues and connections; they have them a certain set of counselors, who are to advise them how to preserve or promote their own greatness, to whom they never fail to impart everything which they know, with a view merely to those advantages which they may derive from the circumstance. It is in these councils that they in every instance deliberate about what course they shall take, what means they shall adopt to accomplish what they have undertaken, to rid themselves of those who may have hurt them, to advance their friends, to entangle us still closer in their fetters; while we all along have no other means left to escape than to forbid their speaking about any subjects, save those of pleasure and amusement, and make up our minds not to believe any one of their suggestions concerning matters of business and our confidential servants. I will candidly confess, however, that a prince whose heart is strongly possessed by love, being at the same time disposed to esteem her whom he loves, will find it hard to observe these precautions; but the more painful the trial the brighter our virtue appears; besides it is certain that these precautions are most indispensable and that it is for want of their being attended to that we behold in history so many fatal instances of royal houses extinct, thrones destroyed, provinces laid waste, and empires overturned. Any woman engaging in these behaviors with you is not to be trusted and you must not take her advice. Do not allow yourself to be manipulated because of your feelings. You should never allow your feelings for any woman to privilege her point of view against your better judgments. There is much more wisdom to be gleaned from the pages of these memoirs, and brevity requires that I cut the entry off here. If you want to learn more I suggest reading them yourself. You can find the full book here. There are also some valuable excerpts here and here. A more condensed version of this post be found at Return of Kings. This article originally appeared in the archive on June 15th, 2014.